Is your other half always moaning about how much electricity you use? Are you keen to teach your children about energy conservation? Christmas is just around the corner so why not treat your loved ones, or even just a friend, to an eco-friendly gift? There are lots of gifts on the market nowadays, both practical and just for fun. Here we’ll look at five gadgets that call all be purchased from The Ethical Superstore for under £20. This nifty little gadget for PCs and laptops will, when clicked, activate your computer’s eco mode, sometimes known as hibernate mode. In this mode, your computer will save energy without losing any data. When you’re ready to start work, you just need to click the button again and your computer will immediately reactivate. An additional handy function of the eco button is that it will record the number of carbon units, and the amount of money, saved when it is used. It is estimated that an average home would save around £50 per year, so at just £14.95 it won’t take long to pay for itself. It should be noted that the eco button is currently only compatible with Windows. Buy the PC and Laptop Eco Button here. 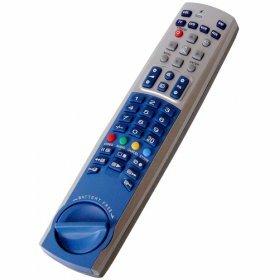 This remote control doesn’t need any batteries, just 30 turns of the winding mechanism on its face. That will be enough to keep it charged for 7 days. So as well as saving energy it can do away with a clutter of remote controls. It comes with full programming instructions and is a snip at £19.95. Buy the Wind-up Remote Control here. It is small, lightweight and ideal for outdoor use. One minute’s winding gives 20 minutes playing time. 5 hours of sunlight will give 30 minutes. To fully charge the radio takes 20 – 30 hours of sunlight or 8 hours via USB and this will give 7 hours playing time. All for just £19.95. 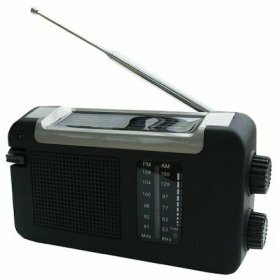 Buy the Wind Up or Solar Powered Radio here. The “X-ray” flashlight is perfect for outdoor adventures or for guarding against power cuts in the home. Just 30 seconds winding of its large (and so easy to grab in the dark) handle can produce 20 minutes of light. The wind up torch can also be charged using a mini USB lead from your computer or other mini USB univesral charger, though a charging adapter is not supplied. When fully charged the torch will produce 20 hours of light. 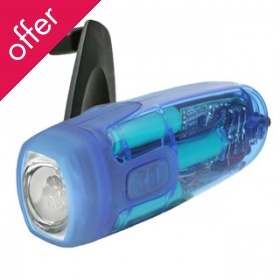 Buy the X-Ray Wind Up Torch here. The Sun Jar can be used as a garden light or night light, or simply as an ornament. Inside the jar are a solar cell, rechargeable battery and low energy LED lamps. It is designed to give the effect of warm, natural sunlight. It operates via a light sensor and so it will turn on automatically when it gets dark, though there ids an override switch. It must be placed in direct sunlight to charge. 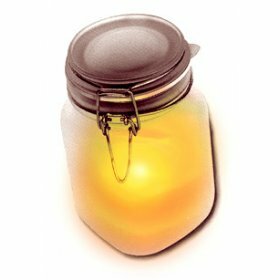 Buy the Sun Jar Night Light or Garden Light here. Great ideas! I think I’ll use them! Nice list of gift ideas. Think all computers should have your ECO BUTTON suggestion.